Product and ordering information for Cuvette Rack and Caps. Polypropylene rack holds 16 cuvettes in numbered positions; round polyethylene caps for ultra-micro cuvettes available in colors. The cuvette rack is manufactured from polypropylene and has 16 numbered positions. It is autoclavable at 121°C. 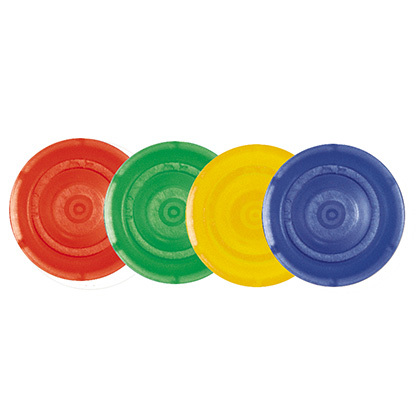 Round cuvette caps, manufactured from PE, fit the ultra-micro cuvettes. 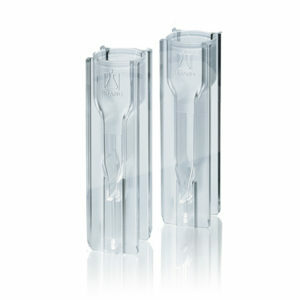 The caps provide a tight seal and allow storage of samples to -20°C. Available in 4 colors for easy sample identification. Do you sell square caps for the macro and semi-micro cuvettes? 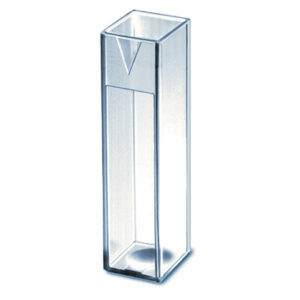 What are the dimensions of the cuvette rack? 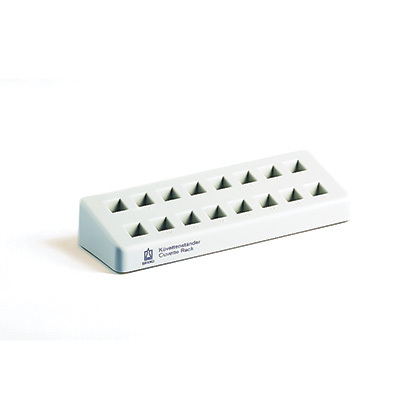 The grey polypropylene cuvette rack is 210 x 70 x 38 ( L x W x H, mm). 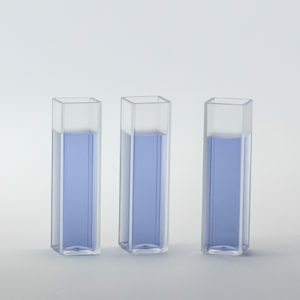 Can the cuvette rack be autoclaved? Yes. The cuvette rack can be autoclaved at 121°C.